The Palladio Table has classic lines with more of a progressive design. Available with or without complementing benches, add them between loungers poolside or as end tables in an outdoor seating arrangement. 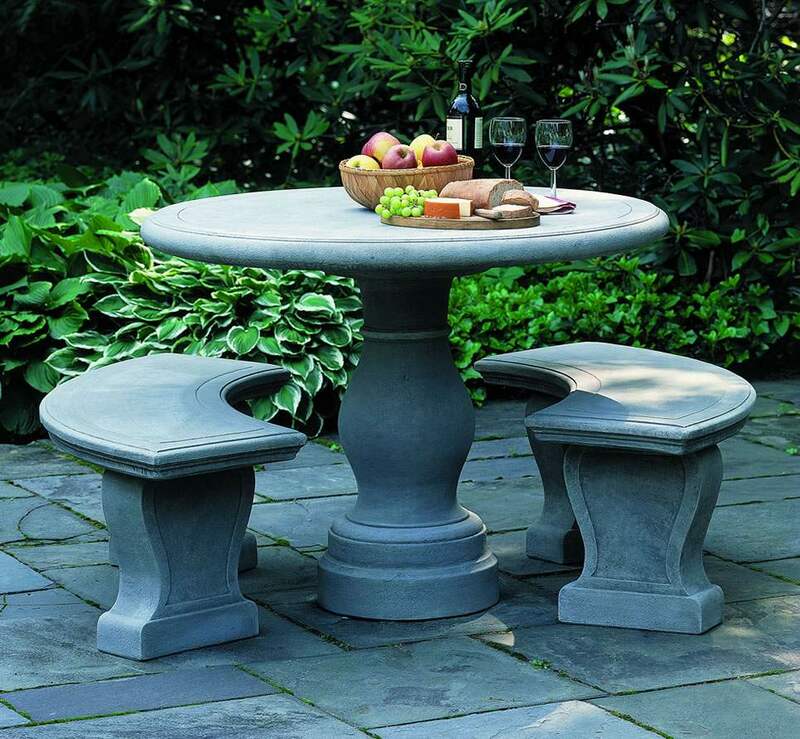 Perfect for your outdoor courtyard as a serving table. TABLE - DIA 43" H 33.5" | 551 lbs. BENCHES(2) - L 54" W 16" H 18" | 235 lbs.